We all recognize Jake T Austin as Max from Disney Channel’s Wizards of Waverly Place. He also starred in Hotel for Dogs and Perfect Game. 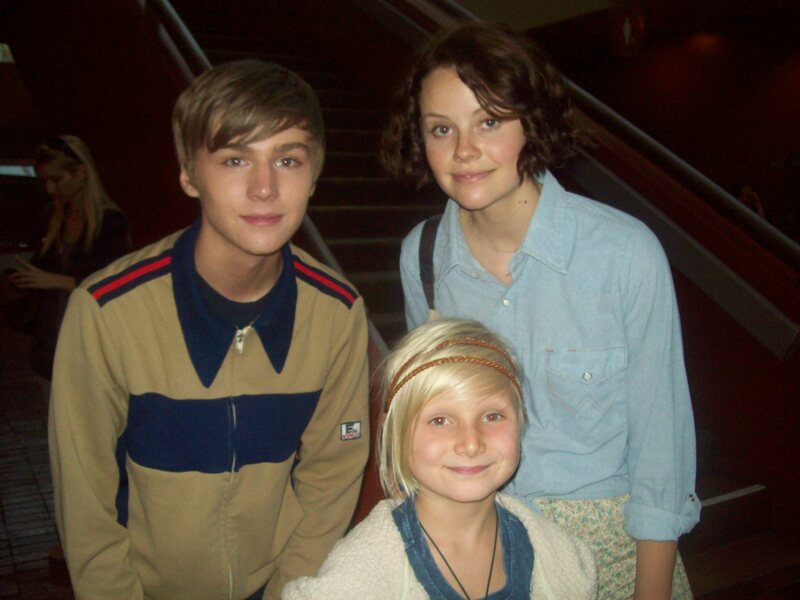 He filmed a movie titled Tom Sawyer with co stars Kat McNamera, Joel Courtney and Noah Munck. This movie hasn’t premiered in theaters yet but look for it out soon. 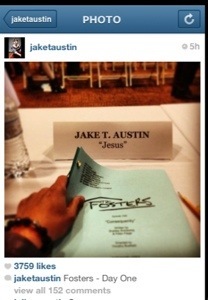 Well, he has been cast as Jesus in a new one hour series on ABC Family Channel. Here’s a pic he posted on his Instagram from the shows table read on April 3. Jennifer Lopez is the executive producer along with Simon Fields, Greg Gugliotta. The series tells the story of a lesbian couple and their diverse family. The comedy-drama is about two women raising a “21st-century” multi-ethnic mix of foster and biological children. Jake plays Jesus and Maia Mitchel plays another foster kid in the family. My mom and I went to one of our favorite restaurants and Jake happened to be enjoying a meal with an older gentleman. Not sure who he was but it could have been his dad. They were eating and my mom and I didn’t want to bother them while they were eating. Once they finished eating and paid their bill, they started to leave. My mom and I walked up to them just as they walked outside. My mom asked Jake if he could take a picture with me and he was a little surprised but smiled and said “sure”. The sun was really bright and setting the older man were really kind saying ” Don’t take a picture with the sun behind them. Then Jake said, ” let’s take it over here” He asked my name and I told him. 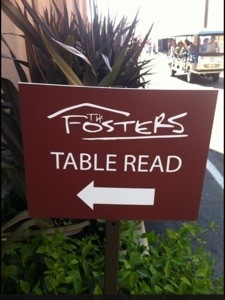 We said congratulations on The Fosters. He said he’s looking forward to it and “thanks”. He was REALLY sweet!! 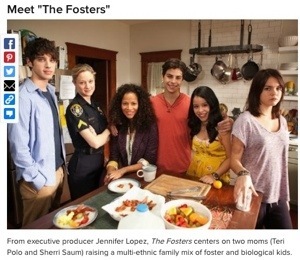 Look for The Fosters to premiere on ABC Family in early June! Wizards of Waverly Place is an Disney Channel Original Series. It premiered on October 12, 2007 It’s about the Russo family which has 3 Wizard children, a non-wizard mom and their father who was born a wizard, but gave up his powers so he could marry his wife, Theresa. David Deluise plays, Jerry, the father. Maria Canals-Barrera plays the mom. Selena Gomez plays Alex, David Henrie plays Justin, and Jake T. Austin plays the youngest member of the family, Max. Wizards of Waverly Place: the Movie was also made by the Disney Channel and aired, on August 28, 2009. The series was created by Todd J. Greenwald. In June 201o, the series was renewed the show for a fourth season. There will also be a second film. The series just taped it’s 100th episode during the week of February 10th, 2011, The current fourth season will be the show’s final season. I’ve met most of the cast and many guest stars. The show is taped at the Hollywood Center Studios in front of a live studio audience but tickets are very hard to get if you don’t know someone who works on the show. It is filmed in front of “invited guests”. The Italian-Mexican family lives in New York and owns a sandwich shop. The three siblings are competing against each other to see who will win the “family Competition” and ultimately be the only person who gets to keep the family’s magical powers. Their father helps them learn magic in the family lair and the kids have attended a normal high school called Tribeca Prep and Wiz Tech. WOWP plays in countries all over the world and has won several awards such as the Kid’s Choice and BAFTA Awards as a series. Selena Gomez and other members of the cast have also been nominated for many awards. The movie won a Prime Time Emmy award for Outstanding Children’s Program. I love the show and enjoy all the guest stars and interesting stories involving vampires, werewolves, mummies and angels! I’ve met most of the cast and guest stars. I still haven’t met David Henrie. Alex Russo , played by Selena Gomez is the middle Russo child. She can be lazy and rude but she has a good heart and always sticks up for what’s right! She’s always helping others. She helped Harper, her best friend learn how to drive and always figures out a way to save the day. She is very smart but doesn’t always show how smart she is. She loves to bug Justin. 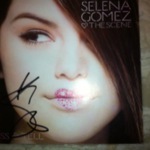 I’ve met Selena Gomez at a meet and greet and a CD signing. She is my favorite actress. She is crazy talented and loves her fans! She is also an amazing singer and a Goodwill Ambassador for Unicef. 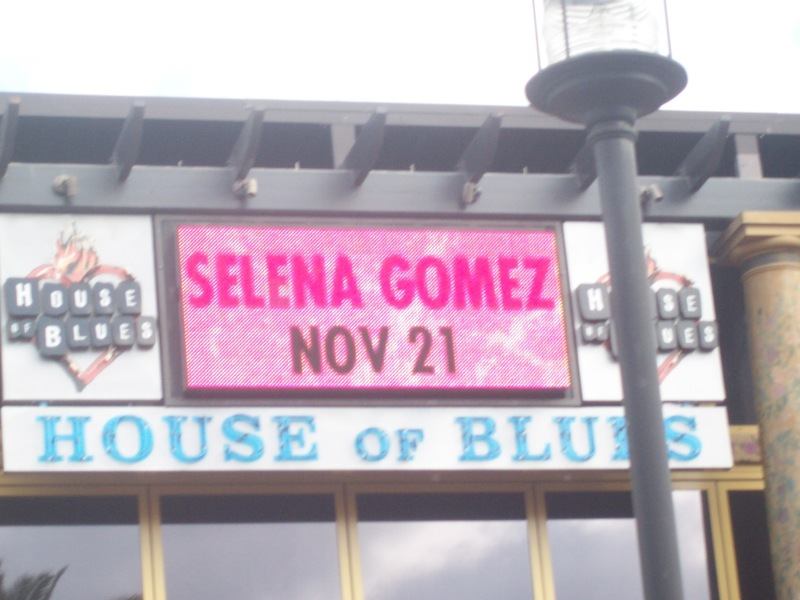 I’ve gone to three of her concerts. She sings the theme song for Wizards of Waverly Place and for the newest Disney Channel hit: Shake It Up. Her first acting job was on Barney and Friends. 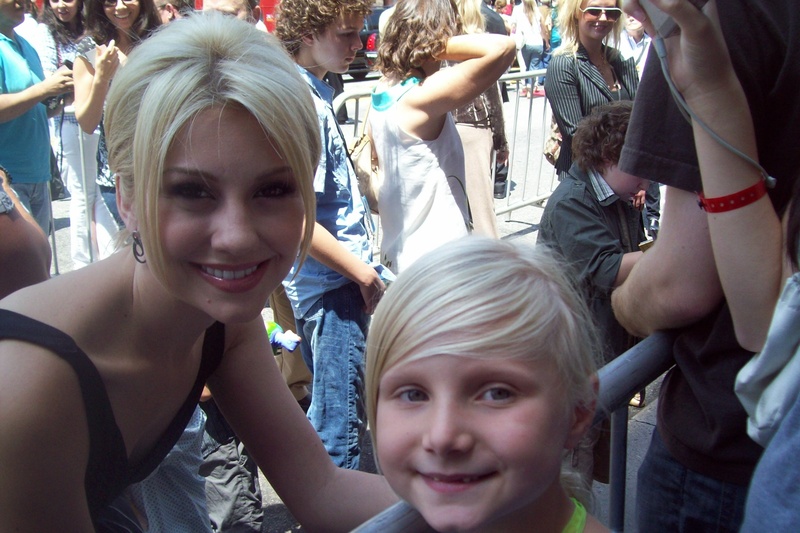 She also had parts in Hannah Montana as Mikayla, and The Suite Life of Zach and Cody. She co-starred with Demi Lovato in Princess Protection Program and starred in Another Cinderella Story. Theresa Russo is the more serious parent. She is very nervous about how much trouble the kids can cause if they use magic. She is worried that people will find out they are wizards. She is a very caring and fussy parent. She can sometimes be embarrassing like the time she and Jerry wanted to get healthy so they dressed in work out clothes from the 80’s. Theresa is a proud Latina. The show has had some story lines about her Mexican-American Heritage. One episode was about how Theresa missed her Quinceanera. Alex uses her powers to switch their bodies. Maria Canals-Barrera is married to David Barrera and together they have two young daughters. Her oldest daughter , Bridget played a young Theresa in the Wizards Movie in the scene where the kids used magic and turned her into a little girl. She is active in her community, volunteering at her daughters’ school and working with charities. She has won two awards for her acting. She plays Demi Lovato’s mother, Connie, in the Camp Rock movies. She also has done voice over work for cartoons. When I’ve met her, she has been very sweet to me. 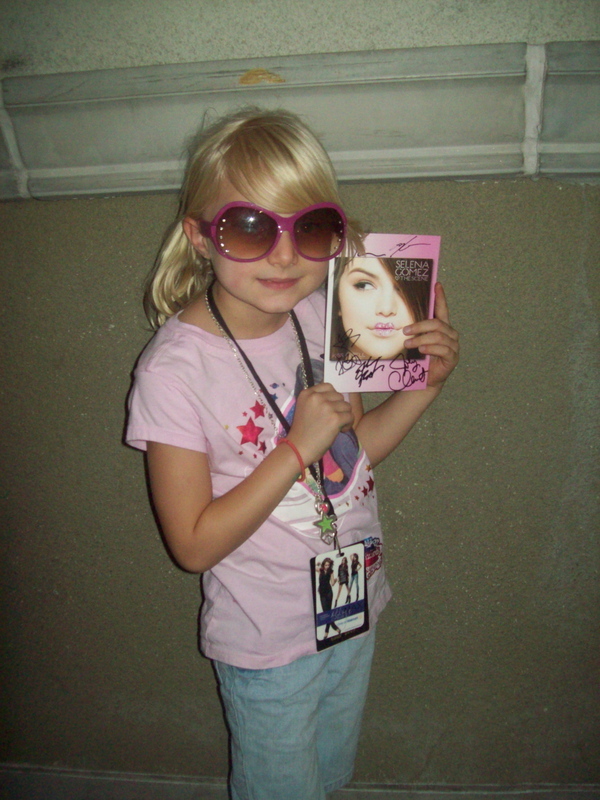 She poses with fans and gives autographs when she can. Jerry Russo is of Italian American heritage. He was born a wizard but gave up his powers to so he could marry Theresa. He loves to eat and gets annoyed by his 3 kids. Justin is his favorite even though he tries not to show it. He loves his kids and wife but can get frustrated and sometimes says things he shouldn’t. He doesn’t like it at all that Alex wants to date boys. He wants to keep her home and doesn’t want her to get her heart broken by a boy! 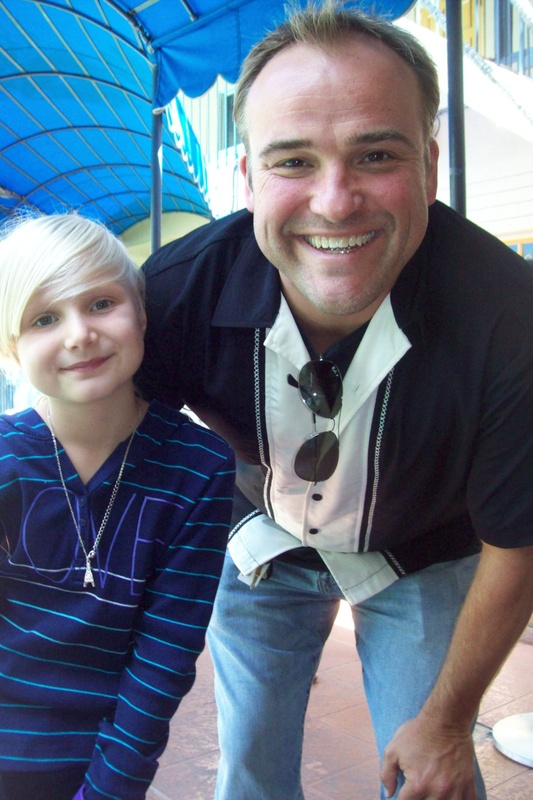 David DeLuise is an actor who has had tons of roles in his acting career. We met him once when he was with his daughter. He is really friendly with fans and is a lot like his character, Jerry. 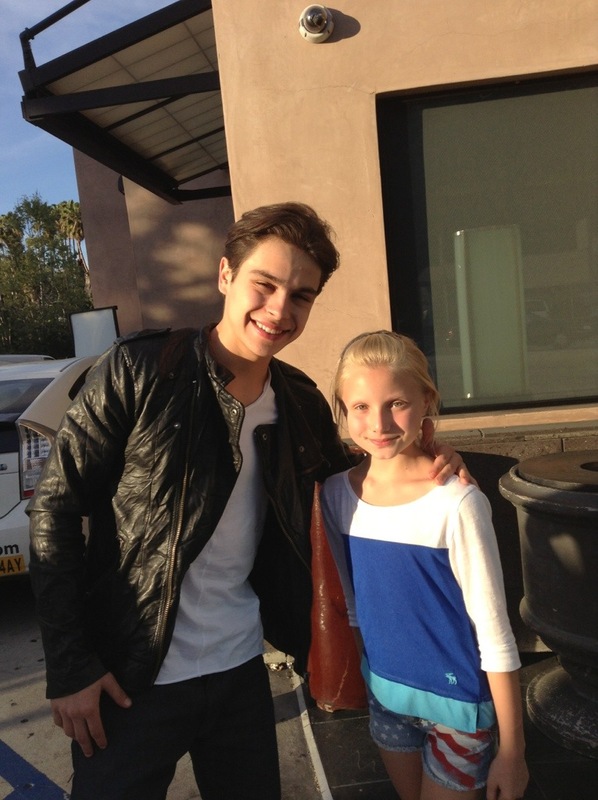 Max Russo is the baby of the family. He is cute and funny but not very bright. He doesn’t want to be serious about studying magic but when he wants to learn a magic trick he gets interested. His family loves him and is always helping him out of the trouble he makes for himself. He was just a little boy when the series started but has grown up quickly. As he gets older and the family is tested he begins to get ahead in the family competetion to get the magical powers. He is the only one who doesn’t tell people they are wizards. In season 4, Max gets turned into Maxine (played by Bailee Madison). Jake T. Austin began acting at a very young age. He has a little sister named Ava. He is the voice of Diego in the show Go, Diego, Go. He also co- starred in Hotel for Dogs and The Perfect Game. I met him at a signing for the Perfect Game. Moises Arias and Ryan Ochoa also starred in this movie with Jake. Jake is a really nice guy. He can be a bit of a prankster especially with cast mate David Henrie. Jake also is going to be the voice of a little boy named Fernando in a new animated movie called Rio. Justin Russo is the oldest Russo child. He is very uptight and serious. Grades mean a LOT to him. He is always mad about Alex not following rules and Max being so dumb. He really wants to win the right to keep the family powers. Even though he is smart, he doesn’t have a lot of common sense, so usually, Alex or Max end up making him look dumb. He dates a lot of girls during the show’s 4 seasons. One is a werewolf, one is an elf, one is a centaur, and in season 4, he dates a dark angel. There was a crossover with suite Life on Deck and he even dated London Tipton! He gets his heart broken by Juliet, a girlfriend played by Bridget Mendler. Sadly, she was a vampire who when she was scratched by a werewolf, Mason, turns her real age 2,193. David Henrie started out acting in commercials. 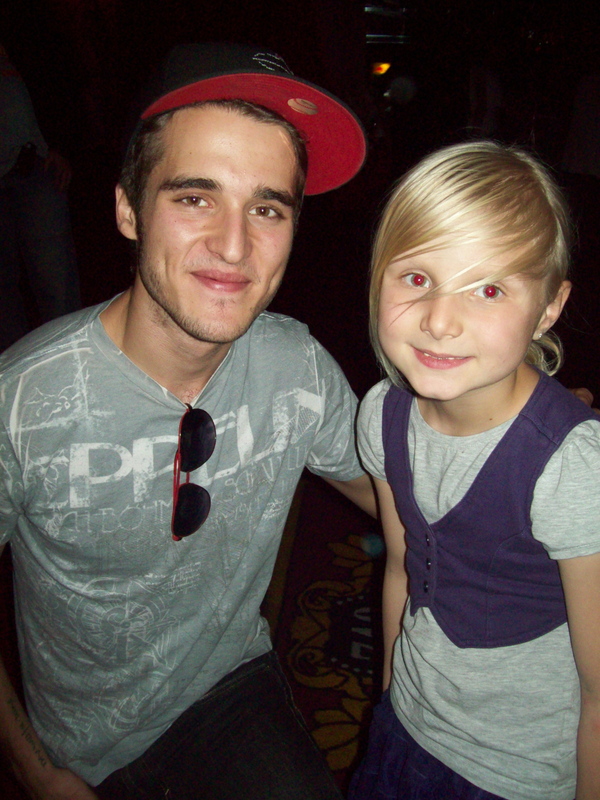 He has been in That’s so Raven and How I Met Your Mother. He loves hockey and has a brother named Lorenzo. He played himself in an episode of Jonas LA. Maxine Russo in season 4 of WOWP in an episode called Three Maxes and a Little Lady, Max was turned into Maxine. She is played by Bailee Madison. Maxine is really Max trapped in a girl’s body. He’s pretty upset about how cute she is and hates her little dainty hands! Jerry and Theresa start to dote on Maxine and Alex feels a little jealous. Maxine challenges Justin in karate class and wins. Jerry and Theresa make him enter a beauty contest and be a cowgirl to get him to tell them where the kids went when they went to Hollywood in Wizards vs Angels. Bailee Madison is a young actress who is best known for her roles in A Bridge to Terabithia and Merry Christmas Drake and Josh. Recently ,she has filmed Don’t Be Afraid of the Dark and Just Go With It starring Adam Sandler. She has been nominated and has won several awards for her excellent acting! Bailee is a great girl. I’ve met her at three premieres. She’s always been friendly with me and other fans. Harper Finkle is a great character. She is Alex’s best friend. She dresses in crazy clothes that she designs. She has a crush on Justin and even pretends to be Juliet to help him get over losing her! She moves in with the Russo’s and the parents love her like a daughter. Jennifer Stone has been in many movies and TV shows. she was in Secondhand Lions, Harriet the Spy: Blog Wars and Mean Girls 2. Jennifer is always sweet when we meet and very pretty! She loves frozen yogurt! 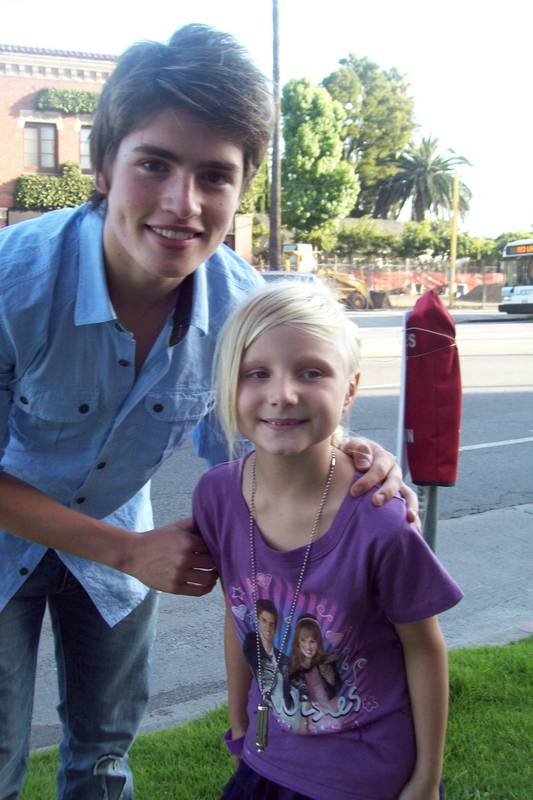 Mason Greyback is Alex’s boyfriend in many episodes. The fact that he’s a werewolf and that Alex is a wizard causes some problems. In Wizards vs. Werewolves, Mason scratches Juliet who becomes her true age and Juliet bites Mason turning him into a wolf. The wizard Russo’s save Mason and in Journey to the Center of Mason, he eats Alex’s other boyfriend Dean! Gregg Sulkin is an English actor who was born in London. He has acted in several shows. He played Gregg from the UK on Pass the Plate. He also was in As the Bell Rings. He recently filmed Avalon High a Disney Channel Original Movie, in New Zealand! He’s a really sweet guy who loves his fans! Gregg will work on the WOWP Movie Sequel! Juliet Van Heusen Juliet was Justin’s most serious girl friend. She was really a vampire. Her family owned a restaurant called Late Nite Bite. She was scratched by Mason and became her true age. This was one of the saddest parts in the series. Justin was so sad and because his family loves him, they were too! Bridget Mendler has been acting for years. She started in a soap opera called General Hospital. She was The Clique, and Labor Pains with Lindsay Lohan. 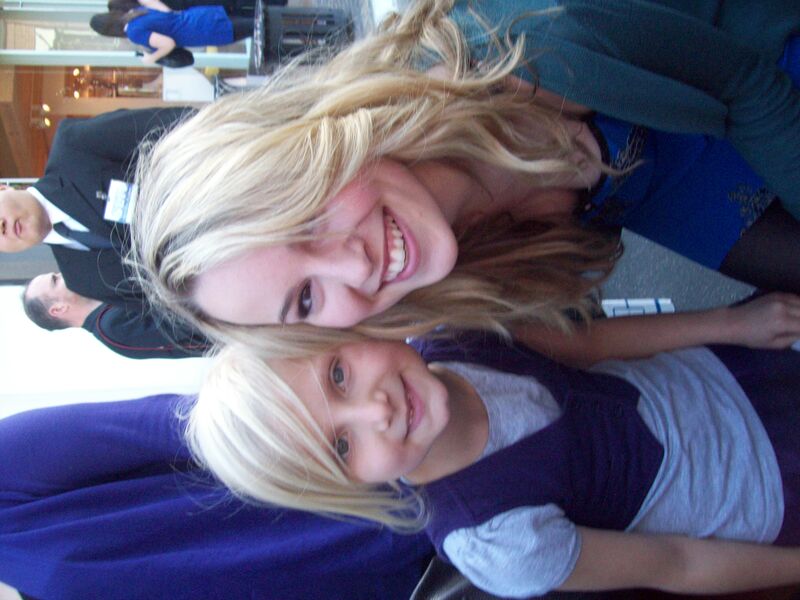 She is starring in Good Luck Charlie as Teddy. She is a great singer and a nice person! She is a voice of the Poodle in Beverly Hills Chihuahua 2. Her nwest song and music video is called This is My Paradise! Ask for it on you Radio Station! Dean Moriarty is one of Alex’s boyfriends. He is more down to earth than Mason and annoys Mason. In Journey to the Center of Mason. Dean says, “Hey, Russo, Wanna smooch?”. He can also be sweet and romantic. He brought a skeeball game to Waverly Place so that he and Alex could play it together! Daniel Samonas has played small roles in many shows including iCarly, Zoey 101, Everybody Hates Chris. He is a very nice guy! He like to support charities! So do I so that’s where I usually see him! Hugh Normous says he is a giant but he is average sized. His parents don’t want him to feel bad so they tell him he’s a giant and give him tiny things like glasses so he feels big. He’s a sweet guy so nobody argues with him. They just go along with the idea that he’s a giant! 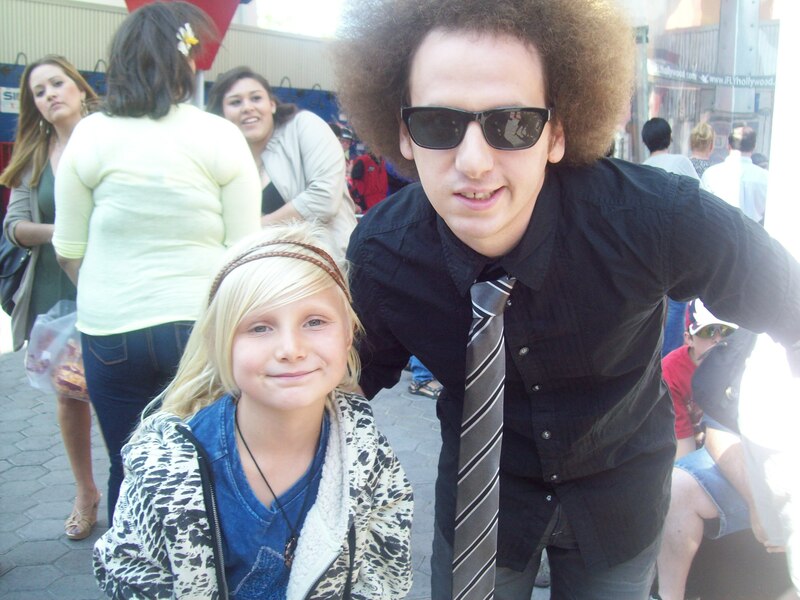 Josh Sussman has had many roles on many shows like Drake and Josh, Suite Life of Zach and Cody , and My Crazy Life . He is a recurring character on WOWP and also stars in Warren the Ape and Glee as Jacob Ben Isreal. He loves supporting charities and that’s where I usually see him! Stevie Nichols Stevie is a wizard who likes to play pranks. She and Alex become friends and pair up to bug Justin. In one episode they get a rock band to play at their schools lunch time when Justin wanted a jazz band. Hayley Kiyoko Hayley has been in Scooby Doo The Mystery Begins and Scooby Doo the Curse of the Lake Monster as Velma. 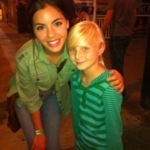 She is going to be a main character in Lemonade Mouth premiering soon on Disney Channel. She loves music and is part of a band called the Stunners. Kari Landsdorf dates Justin while he’s on a baseball team. She only watches cat movies and they break up pretty quickly! Chelsea Staub has been on Jonas LA, Minutemen, Bratz:The Movie, Starstruck and Fish Hooks. She has always been nice to me and other fans when I’ve seen her at premieres and a meet and greet with Nicole Anderson. Lisa Cucuy She has a crush on Max after seeing him on a magazine but then falls for Mason. Her family is a kind of old scary creature who have skull faces. Her father was played by Maria’s husband David. Maria and David both use Twitter and if you were following them you know they had a blast working together that week! Samantha Boscorino had a part in he Perfect Game with Jake T Austin. She also stars in Good Luck Charlie. 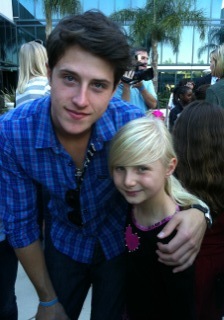 Shane Harper is in season 4 of WOWP as a wizard in the class with the Russo kids. He also plays Spencer in Good Luck Charlie. He is a sweet guy who goes to a lot a charity events. He is also a great singer and I went to his concert at the Roxy in LA. 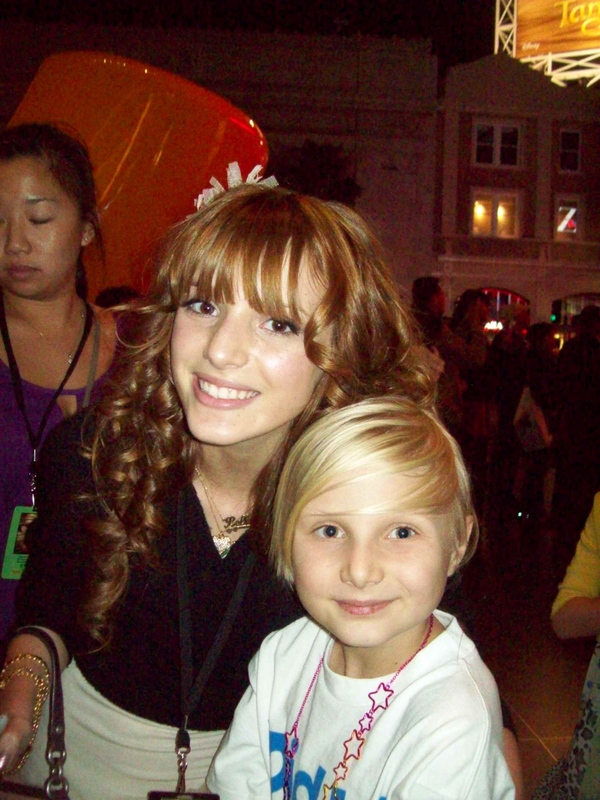 Bella Thorne played Max’s girlfriend in an episode. She now stars in her own show Shake It Up! She is amazing. She has tons of energy and always has a smile on her face. She loves all of her fans and taked time to do meet and greets, charities, and attend premieres! Sarah Ramos played one of Justin’s girlfriends. They met online so the family is worried but Justin thinks they are being silly. She turnes out to be a werewolf. On a date to the park she chases balls and does a lot of other silly stuff. Alex and Max tease them both. Sarah now is a regular on Parenthood. 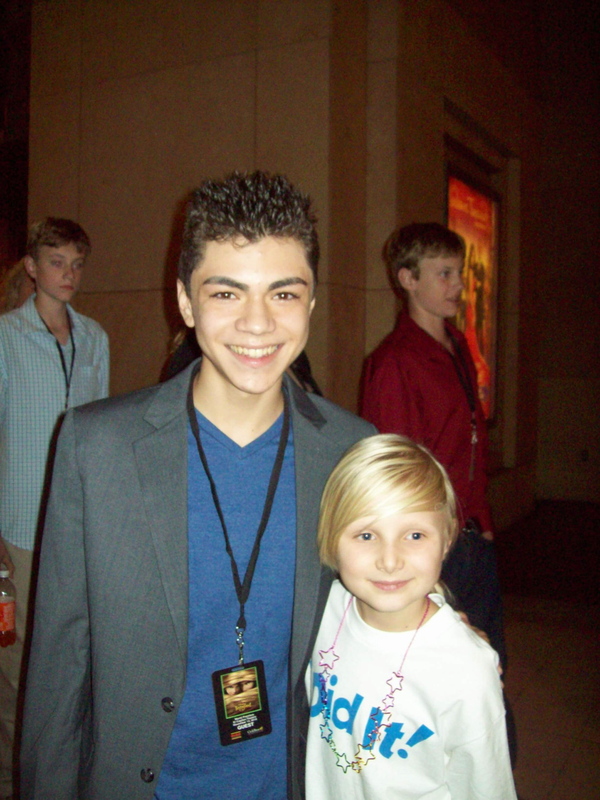 Adam Irigoyen had a small role as the “other conscience”. He was in Max’s backpack and played his other conscience when Moises Arias also guest starred. Adam now plays Deuce on Disney’s Shake it Up. He is super nice and friendly! Moises Arias also was a guest star on the show. He is well known as Rico on Hannah Montana and was in The Prefect Game with Jake. His brother Mateo is starring in another new Disney series called Kickin It. Jason Earles is also in this new series. Look for it soon . Wizards has been a wonderful show. We’ve laughed and cried and definitely been entertained. The show really is about love in a family and growing up. I hope you enjoyed this blog! my mom and I worked really hard on it! We love meeting and supporting stars and helping you meet them too! Thanks so much for checking this out!!! !